Access the geospatial data you need, in your choice of format and projection, on your own secure data service site. Allow staff and collaborators to get immediate access to the data they need, through every stage of your project. With a Koordinates data service, credentialed users can find and appraise the geospatial data they need, and export into their format of choice — removing bottlenecks and speeding up projects. Automate the process of finding and exporting data, in the formats needed for your application, including DWG CAD. 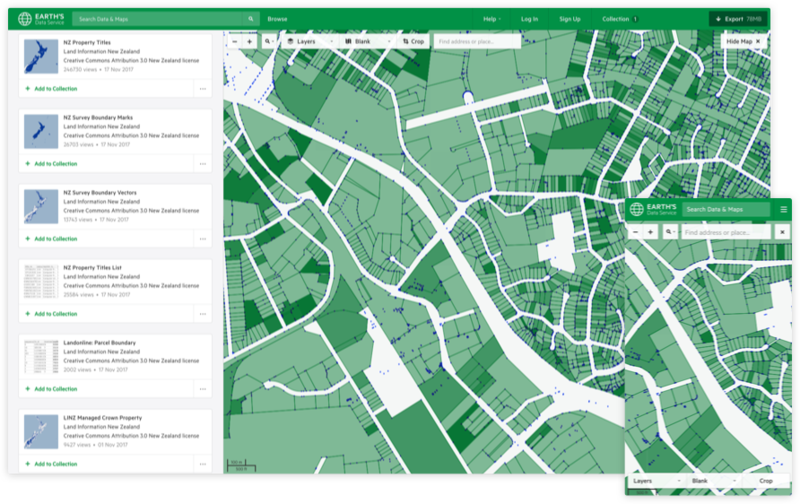 With one point of truth for geospatial data, data managers can reduce duplication and dedicate time to QC and curation of data. Remove bottlenecks and reduce project costs, with staff spending less time finding and translating the data they need. Managed securely in the cloud, your site will enjoy SLA-backed availability, consistently exceeding 99.95% uptime. Granular permissions give control over who can access your data, with full HTTPS support. Scan and import from multiple data sources, or securely connect to internal databases with the Data Gateway. Plain-English documentation of your site and friendly support—with optional SLAs for guaranteed response and resolution. Supports major GIS formats, as well as CAD, Google Earth, CSV, geospatial PDF, and most EPSG projections. Comprehensive APIs and web services to manage, administer and use your data, automatically created for every dataset. It’s an amazing thing to have. It’s easy to open up the site, layer on the data you need—it’s a great timesaver. And in this postearthquake environment, anything we can do to spend more time on the design is incredibly important. We have pricing for everyone—from small teams and individuals to large companies and government agencies. Get started with your own site from only USD $45 per month. All data on this site from Land Information New Zealand is made available under a Creative Commons Attribution Licence.